Delphine Minoui reads from I'm Writing You from Tehran. She will be joined in conversation by Alexandra Hoffmann. A Q&A and signing will follow the reading. About the book: A journalist returns to her family home in Iran, witnessing enormous political, social, and personal change. 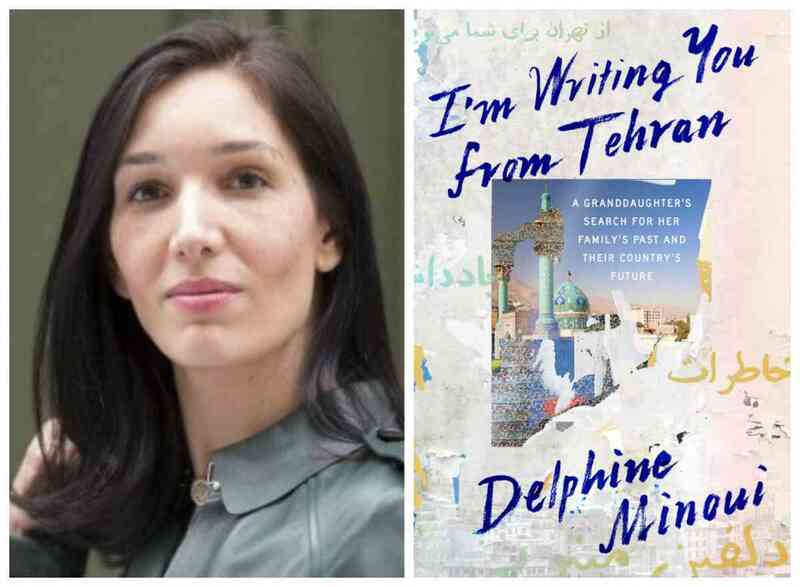 Suffering the recent loss of her beloved grandfather and newly committed to a career in journalism, Delphine Minoui decided to visit Iran for the first time since the revolution—since she was four years old. It was 1998. She would stay for ten years. In the course of that decade, great change comes to both writer and country, often at the same time. Minoui settles into daily life—getting to know her devout grandmother for the first time, making friends with local women who help her escape secret dance parties when the morality police arrive, figuring out how to be a journalist in a country that is suspicious of the press and Westerners. Once she finally starts to learn Persian, she begins to see Iran through her grandfather’s eyes. And so it is all the more crushing when the political situation falters. She is caught up in protests and interrogated by secret police; some friends disappear and others may be tracking her movements. She finds love, loses her press credentials, marries, and is separated from her husband by erupting global conflict. Through it all, her love for this place and its people deepens and she discovers in her family’s past a mission that will shape her entire future. Framed as a letter to her grandfather and filled with disarming characters in momentous times, I’m Writing You from Tehran is an unforgettable, moving view into an often obscured part of our world. About the author: Delphine Minoui, a recipient of the Albert Londres Prize for her reporting on Iraq and Iran, is a journalist and Middle East correspondent for Le Figaro. Born in Paris in 1974 to a French mother and an Iranian father, she now lives in Istanbul. About the interlocutor: Alexandra Hoffmann is a PhD student in Persian Language & Literature at the University of Chicago.